Indonesia's declaration of independence will be done in a faster pace. there is a vacuum power in Indonesia. 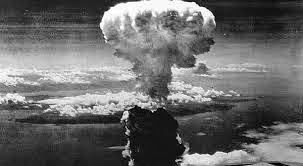 The reason for this, Japan surrendered to Allied troops after a bomb Hiroshima and Nagasaki. this situation heard via radio by the Indonesian youth and Sutan Sjahrir. At the same time, the leader figure Indonesia including Soekarno-Hatta, and Dr. Radjiman Wediodiningrat are in Dalath to discuss the future of Indonesia. At the meeting, Indonesia will be granted independence by Japan on August 24, 1945. After going back to Indonesia, there had been a difference between the elders and the youth about the proclamation. Soekarno and community leaders from the older groups proclamation of Indonesia wants the plan that had been carried out to be determined in Dalath. The Young, while proclamation want to be done as soon as possible, they are worried that Indonesia has been colonized again by Allied and Dutch forces. 2. The East Rengasdengklok is Purwakarta. The area was controlled by forces PETA (Pasukan Pembela Tanah Air). The team formed by Japan of qualified members in the community who indonesia, but most highly skilled fight. 4. The west also controlled by in Bekasi. They were ready to face the enemy who attacked from Jakarta. After the Rengasdengklok incident, there was an agreement between the older ones, represented by Ir. soekarno, Mohammad Hatta, and the young, represented by Mr. Achmad Soebardjo to immediately make proclamation. After that, they have to draw up together a proclamation script in the house for Admiral Maeda. Admiral Maeda are Japan, but he was sympathetic and concerned about destiny of Indonesian people. 0 Response to "The events before the proclamation of Indonesia"